Nothing rings in the holiday season like spreading cheer! 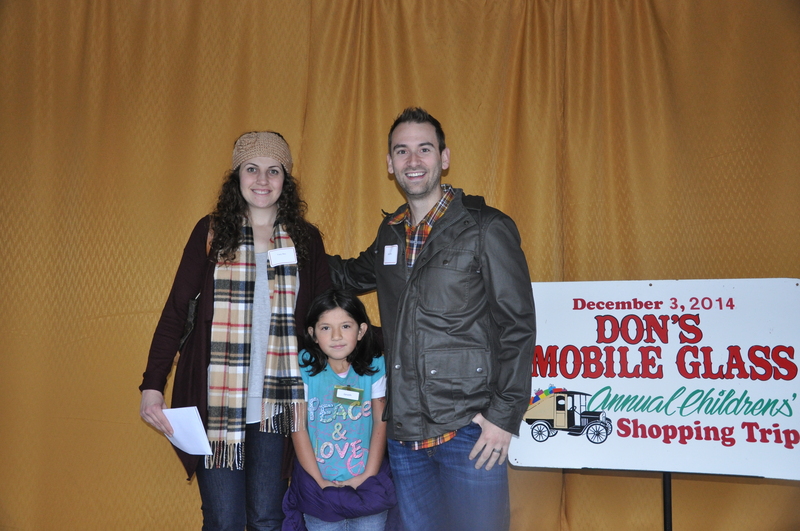 December 3rd marked our 40th anniversary of the DMG Christmas Shopping Tour. Our founder Don Monaco started this tradition, and still helps greet children and their sponsors, as well as helps serve dinner to everyone. Our objective is to give at least ten of the neediest children from each of the six schools, Robertson Road Elementary, Shackelford Elementary, Salvation Army-Red Shield, El Vista Elementary, Tuolumne Elementary, and Orville-Wright Elementary, a chance to go on a shopping spree for Christmas. Students are selected by teachers and/or principals, and our gracious sponsors are able to donate their time and money to purchase much needed clothing, shoes, and coats to help get through their school year. After, they all get to enjoy a fun filled banquet packed with the Downey High Madrigals Choir, balloon animals, and much more entertainment. And because the kids are so good, they even get a fun surprise visit from Santa and Mrs. Claus! Seeing the eyes on the children light up when they hear the jingle of Santa Claus's sleigh is well worth it! Also knowing that they are going home with proper wardrobe and attire for the upcoming cold seasons warms our hearts! We want to send out another large thanks to all the groups and individual sponsors that make this night possible, including Capax-Giddings, Corby & Hynes Insurance who sponsored 10 children, and the Downey High Key Club that took 18 kids shopping this year! We also could not have done it without our hard working DMG staff and family who help connect these great supporters with the deserving children, and coordinate this wonderful night! Click here to check out some more great pictures of our teamed up sponsors and children! 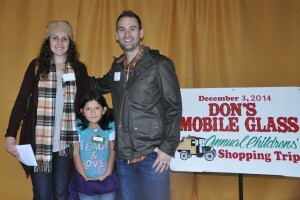 Over the last 40 years Don’s Mobile Glass has been able to provide clothing and shoes to more than 3,749 children! We look forward to many more years! Happy Holidays from everyone and Don's Mobile Glass!